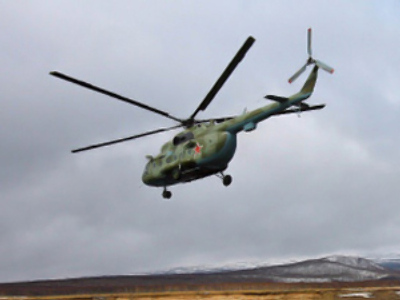 All 18 passengers of a MI-8 helicopter, which went missing in Russia's Far East on Saturday morning, are now accounted for. Ten people are confirmed dead, including five German citizens. Russians Pavel Malyuga, Sergey Tildishev, Andrey Naumenko, Viktor Maslov, Aleksandr Astrotin-Jr (the flight captain’s grandson) and German tourists Karla Kansien, Karl Guntediringer, Aksel Nolde, Jan Vae and Konrad Tayler are confirmed to have died in the accident. Germans Wolfgang Schmidt, Hans Dietr, Adler Bordn, Patrick Vogel, Tomas Zwissler, and Marcus Luible, along with Belgian Christian Martens and flight captain Russian Aleksandr Astrotin have been rescued and taken to the town of Yelisovo, where they are being treated for a variety of injuries. Following Saturday’s two air crashes, the Emergencies Ministry has opened a crisis hot line for relatives of the victims. English speaking emergency specialists can be reached at +7 (495) 626 37 07. The Emergencies Ministry says the snowboarders were on an extreme snowboarding recreation day and didn’t register at the emergency authorities as they are required to do. Air traffic controllers in the Kamchatka region lost radio contact with the crew at 6 am local time. About an hour-and-a-half later another MI-8 with rescuers and a medic on board flew out in search of the missing chopper. At 8.40 am, the search and rescue team spotted the downed helicopter at the Duduk mountain crossing. One more helicopter with a rescue team was dispatched to the scene. According to Far East Emergency Ministry spokesman Sergey Viktorov, three helicopter members were found inside the aircraft. “During the avalanche the tourists at that time were [on the ground] nearby," Viktorov told Ria Novosti.